Three-time world squash champion Nick Matthew OBE is delighted to announce that he will be working with Sheffield based physiotherapy company Fit4-Physio for the upcoming 2017/2018 season. The partnership is a vital part of Matthew’s preparations in his quest to win a fourth Gold medal at the 2018 Commonwealth Games in Australia. 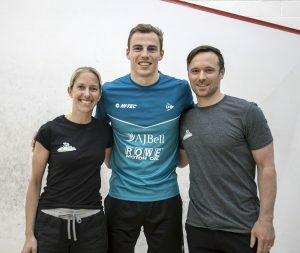 Fit4-Physio Ltd is based at the Hallamshire Tennis and Squash Club which is also Matthew’s training base and home to the Nick Matthew Academy. 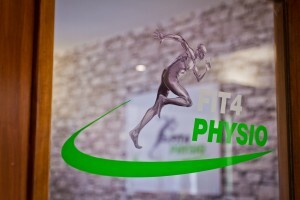 A sports injury and physiotherapy clinic run by Richard Follett and Charlotte Stone with many years experience treating elite sports people and the military, Fit4-Physio offer expert physiotherapy and rehabilitation services alongside sports massage, bike fitting and gait analysis. Nick Matthew OBE won singles and doubles Gold medals in Delhi 2010 and singles Gold and doubles Silver in Glasgow 2014. In Glasgow he was also chosen by teammates to be the official flagbearer for Team England at the Opening Ceremony.